Patients with orthodontic problems can benefit from orthodontic treatment near Passaic, NJ at any age. Your teeth are unique, just like you. Milestone Orthodontics near Passaic, NJ will be able to evaluate your teeth’s progress and provide the best orthodontic care. Whether you are 7 years old or 50 years old, braces will help you achieve a straight and healthy looking smile. After the first assessment of your teeth and gums, Dr. Matthew Milestone will be able to discuss whether or not braces are right for you. While patients at any age can benefit from orthodontic treatment, there are a few specific ages where treatment is optimal. Children should see an orthodontist and get an evaluation to address any possible issues by the age of 7 years old. This will help Dr. Matthew Milestone become aware of the progress, development, and growth of your teeth, jaw, and mouth to be able to assess if any early orthodontic treatment needs to be administered. From the ages of 8 years old to 14 years old, children’s head and mouth are still growing which makes this time the right time to get braces. Another good indicator of when the right time to get braces is after the last baby tooth has fallen out and all of the adult teeth have grown in. However, if you are older than 14 years old, you can still benefit from an orthodontic treatment from Milestone Orthodontics. The most popular question Dr. Matthew Milestone is asked by prospective patients who are getting braces is, “how long do I need to have braces?”. Most patients have orthodontic treatments for between 18 and 30 months. However, it depends on the individual patient’s case and their specific treatment. A consultation with the team at Milestone Orthodontics is the best indicator of how long your specific treatment will last. As expected, braces and orthodontic treatment at any age can be sensitive for a patient. For those under the age of 18, it is important parents discuss the matter with their children before braces are put on. Remind them that although having braces can be uncomfortable at first, they become easier to adjust to over time and the perfect smile you are going to receive are well worth it. If you participate in any type of extracurricular activity such as a sport or playing an instrument, you will learn quickly how to perform with your braces. If your sport requires a mouthguard, make sure to speak with Dr. Matthew Milestone about playing while undergoing orthodontic treatment. 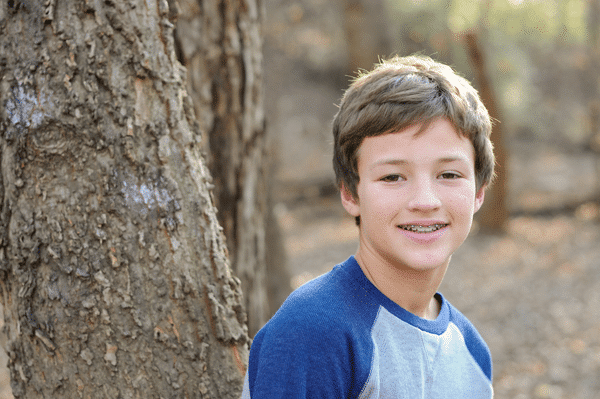 Braces can help patients with problems at any age, 7 and up! Whether you are 7 years old with crooked teeth or 50 years old with an overbite, Dr. Matthew Milestone can help figure out the appropriate time for treatment as well as the appropriate treatment for your specific case. For more information or to schedule an appointment with Milestone Orthodontics near Passaic, NJ, visit our office or call us at 201.845.8411.